Higher education representatives have been told to take action on student mental health by the Education Secretary today (4 December). He has called on universities to do more to reach out to students’ emergency contacts when it is clear that they are at risk of a mental health crisis. 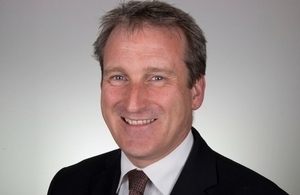 Damian Hinds has written to Julia Buckingham, who is chairing a roundtable on student mental health, asking the sector to maintain the focus that has been built up in recent months following the Student Mental Health Summit that was held at the University of the West of England in June 2018. The event, hosted by Universities UK (UUK), will aim to develop advice for universities on consent for the disclosure of information about severe student difficulties to third parties. Giving universities clear guidance on this issue will ensure young people struggling at university will have every possible chance of receiving help from someone in their domestic support network. This is particularly important for students studying away from home, who may have a reduced support group. "Ensuring that university students, many of whom will be leaving home for the first time, are supported is a key challenge for my department and the higher education sector as a whole. "Our universities are world leading in so many areas and I want them to be the best in the world for support and pastoral care as well. Ensuring that universities get better at reaching out to family members if a student is struggling with mental health is a big step along the road to delivering that ambition. "I’ve made clear to the sector how important this issue is and now I want them to work together to find a clear way forward so young people can get support from every person and organisation best able to give it." In a recent Higher Education Policy Institute (HEPI) survey, 75% of applicants to higher education expected universities to contact a parent or guardian in situations where they are faced with serious challenges relating to their mental health. The new UUK advice will need to build on this by giving 100% of students every possible opportunity to choose to receive care from families and trusted friends alongside the support they get from student welfare teams and the NHS.